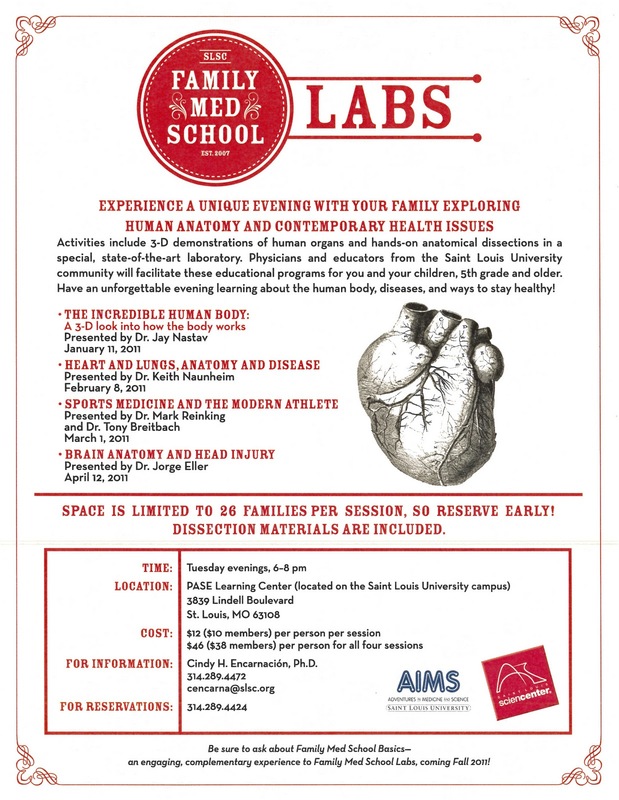 SLU Athletic Training Faculty members are involved in the Adventures In Medicine & Science (AIMS) program. AIMS is a youth community outreach program that provides health education and prevention information to students throughout the school year. With a combination of hands-on opportunities and auditorium presentations, students get a unique look at the human body. The program offers a prevention component that provides valuable information to students regarding health risks and how to avoid medical traumas. In addition, incoming juniors and seniors are provided with an opportunity to explore medical science during the AIMS Summer Workshop. AIMS is part of Practical Anatomy and Surgical Education in the Center for Anatomical Science and Education of Saint Louis University School of Medicine. 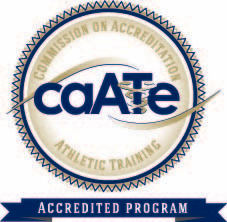 Dr. Tim Howell and Dr. Kitty Newsham have been involved in the Sports Medicine Cadaver Demonstrations. These demonstrations provide experiences where students participate in an interactive human cadaver demonstration that outline the most common sports injuries of the shoulder, elbow, knee and ankle. Basic principles of injury management are also discussed. Dr. Tony Breitbach and Dr. Kitty Newsham have participated in the summer workshop. Adventures In Medicine & Science began offering summer workshops for high school juniors and seniors interested in medical careers in 1993. Now more than 100 students spend a week with medical professionals who provide an overview of the human body while introducing them to careers in health care. Activities range from auditorium presentations, correlative anatomy dissections and cadaver demonstrations. Off-site visits include observations of live surgery, rehabilitation facilities, and opportunities to interact with patients and their physicians. On March 1, 2011, Dr. Mark Reinking, Chair of the Department of Physical Therapy and Athletic Training, and Dr. Tony Breitbach are participating in a new concept, the Family Medical School. This is an experiential workshop where families get a better understanding of medical concepts together in a fun atmosphere.